Where can I go to set spacing or otherwise adjust this? Thanks so much. Please set the Bar's Initial Position to Relative. While this did help with some spacing issues with the page layouts I still have the issue on the post pages. This is a header I've created and applied to all post pages and a few static pages. Its constructed from 2 bars both set to sticky. Top bar contains the logo and bottom bar contains the menu. Thanks, hope you can provide a little more help. the post content runs up under the header when the page loads. And, what do you want to achieve? I have a sticky bar issue I didn't have before. Hi, Thank you for the quick reply. I would like to acheive the look of the page as it loads but that look to be maintained as content scrolls under both the logo and menu bar. No movement on the logo/menubar at all. Currently the pages load as I like but as soon as I scroll the gray menubar scrolls to the top of the page over the logo bar. The logo bar behaves as I would like… staying in place. ideally I would like to have the green logo bar and the gray menu bar stacked one atop the other and not move while content scrolls under it. Is there a better way to build a logo bar and a menu bar together? 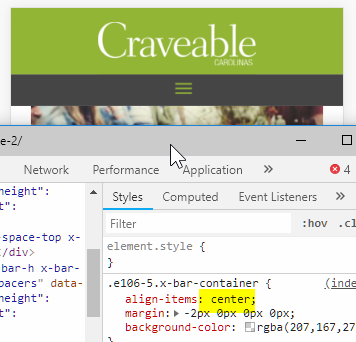 Second issue of content under the header… On the example page link I sent, on page load the hamburger image is already under the logo/menu bars. I would like there to be white space between the log/menu bar and the image. I have previously stated that you should turn off the Sticky option of the bar. That will resolve your problem with the gray bar moving on top of the green bar. There's really no space between the gray bar and the image because that is the design of the Ethos stack as you can see in our demo at http://demo.theme.co/ethos-1/the-new-status-symbol/. You might want to switch to the Renew stack for another design. Here's the single post demo. 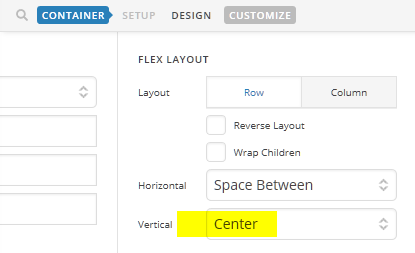 For the logo and the hamburger button space issue, set the Container's Flex Layout > Vertical to Center. 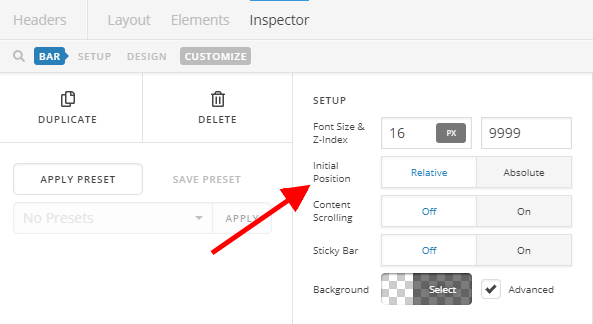 For more details about the Header and Footer options, please see the Pro, Builder and Element tutorials in our Knowledge Base. Thanks! I never considered swithcing theme stack to solve the spacing issue between the menus and post image. I'll try that. However I think you may be misunderstanding my menu scrolling issue. If I turn off the sticky for the menu bar (I have tried) it simply scrolls up and away as any other content would. I want it to stay in place. This is what I want, when I scroll or not…Menu stacking at the bottom of the logo bar. This is what I'm getting on scroll. 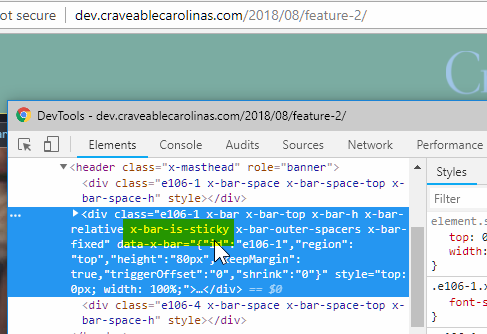 Gray menu sticks to the top of the page. I don't mind giving admin access if needed. ​To assist you better with this issue, would you mind providing us the url of your site with login credentials so we can take a closer look? This is to ensure that we can provide you with a tailored answer to your situation.